(July 30, 2018) -- The UTSA Institute of Texan Cultures has a limited amount of parking available for the 2018 UTSA Football season and is offering a package for all six home games. Fans can purchase the $120 parking package by calling 210-458-2259, Monday through Friday, 9 a.m. to 4 p.m. The parking package includes a unique tag for each UTSA home game at the Alamodome. Parking passes are available on a first-come, first-served basis. UTSA parking hang-tags are not honored on football game days. Tailgating and open containers are not allowed on the UTSA property. Single, season and away game tickets are available by calling 210-458-UTSA (8872) or fans can order online. 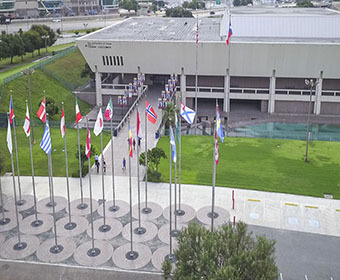 Visit the UTSA Institute of Texan Cultures. Learn more about UTSA Athletics.